Target irritable bowels with nutrients that can help sooth your intestines and promote a healthy intestinal lining. 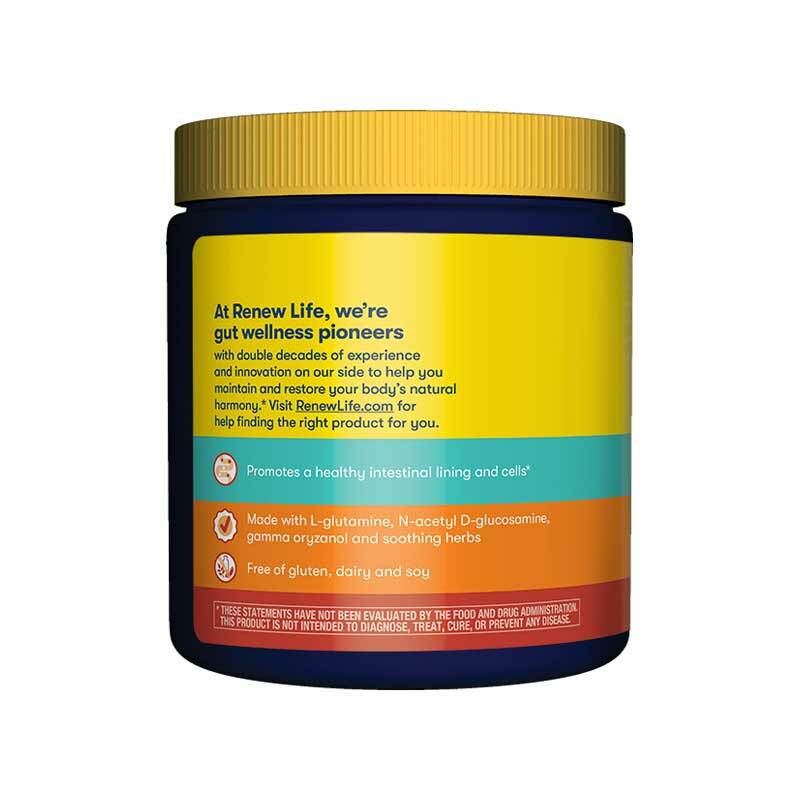 IntestiNEW from Renew Life contains a blend of beneficial herbs as well as L-glutamine and N-acetyl D-glucosamine, which may help protect the lining of the stomach and intestines. Plus, you'll also find gamma oryzanol - a natural extract of rice bran oil. This ingredient has been shown to support antioxidant effects in the digestive tract. In addition to potentially bring you relief from digestive issues, IntestiNEW can also help you absorb nutrients as the healthy food you eat moves through your system. So much of our health is directly connected to digestion. Make sure you're on the right track. 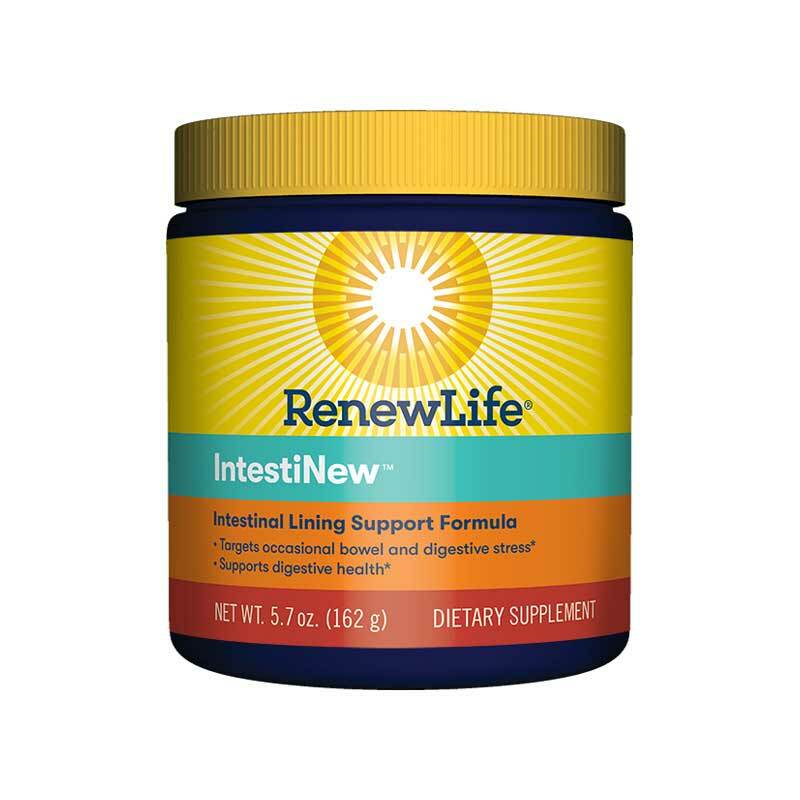 Order IntestiNEW from Renew Life and discover the difference! Contain an ingredient derived from crustacean shells (shrimp, lobster, crab). Contains NO: yeast, wheat, corn, rye, soy, gluten, dairy, binders, fillers or artificial ingredients. Adults: Take 1 level scoop mixed in 6-8 ounces of purified water (at room temperature) in the morning on an empty stomach. May be repeated in the evening. Consult your physician before using this or any product if you are pregnant, nursing, trying to conceive, taking medication or have a medical condition. Keep out of the reach of children. Very happy with Nature Healthy Concepts customer service. I've had Crohn's Disease for roughly 2 years now. Medication didn't really alleviate my pain or symptoms. I gave Intestinew a try and can say it's probably the best $34 I've ever spent. I can even take this product during the onset of a flare-up and it would soothe me quickly and sometimes get me back to normal before the day could end. Since I used my first tub of the powder, my flares and pain have completely been erased. It's definitely worth the try. I gifted the product to a friend who has had a big struggle with Crohn's about 2-3 weeks ago. She's also mentioned the amazing soothing effect it has on her body. 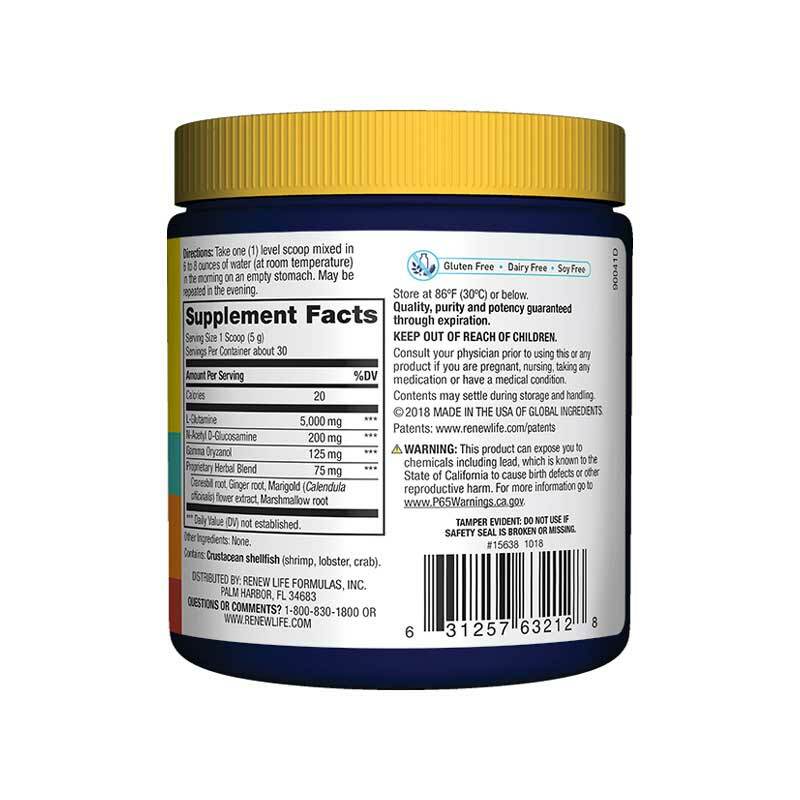 I have been using Intestinew for a couple of years now and I wouldn't be without it. It has been a Godsend for my problems. I do a lot of research on products for myself and this is the best one I found. Plus I love dealing with this company!